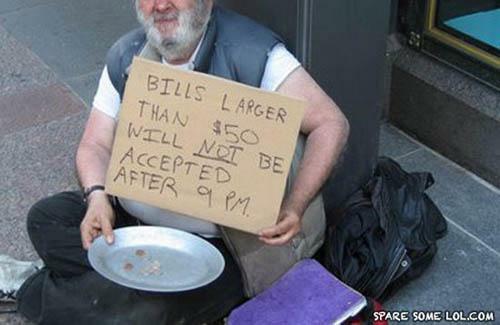 No one will argue that times are tough. 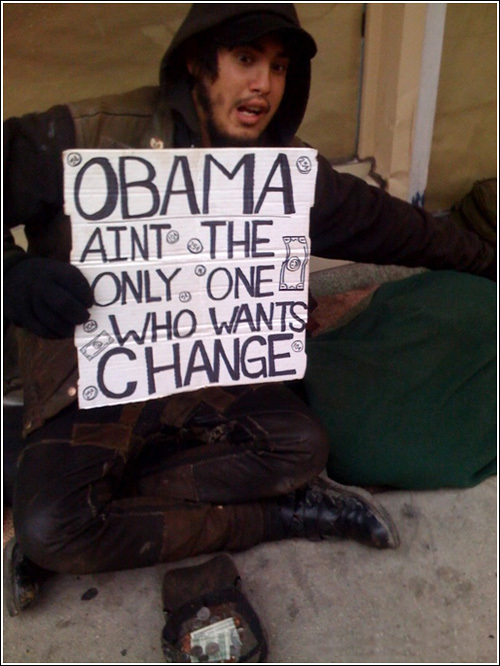 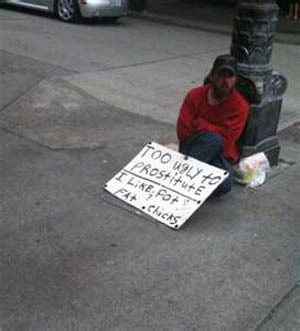 The economy is in the crapper and unemployment rates are much higher than they should be. 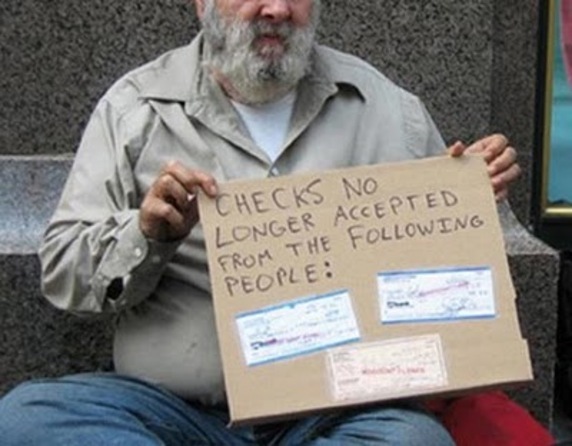 For some of us, it feels like we are just one step away from the line at the soup kitchen. 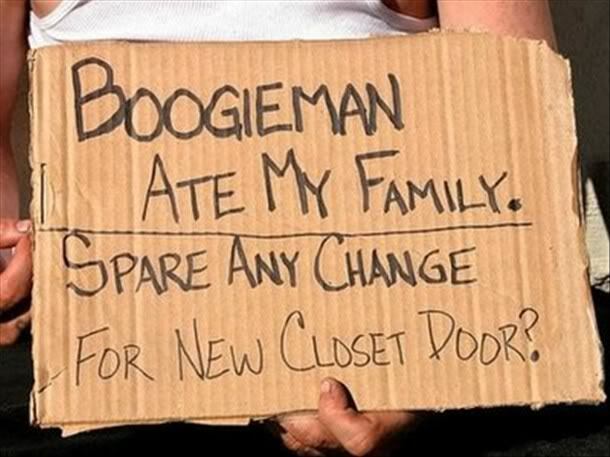 Just in case we do have to trade in our homes for a cardboard box, it might be a good idea to scope out the competition. 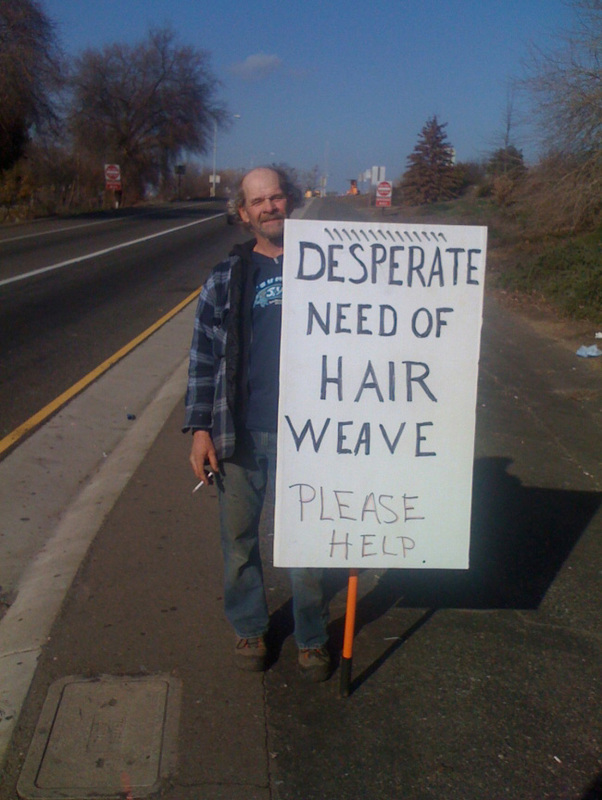 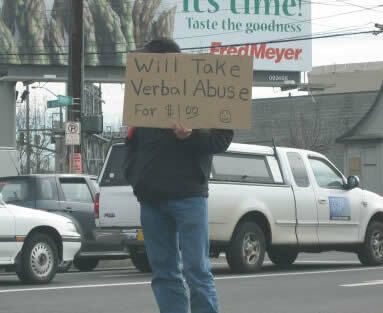 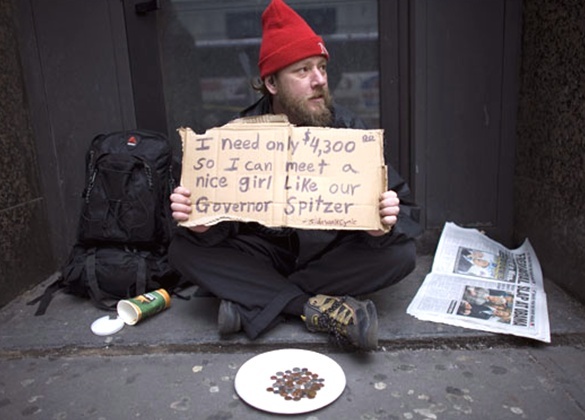 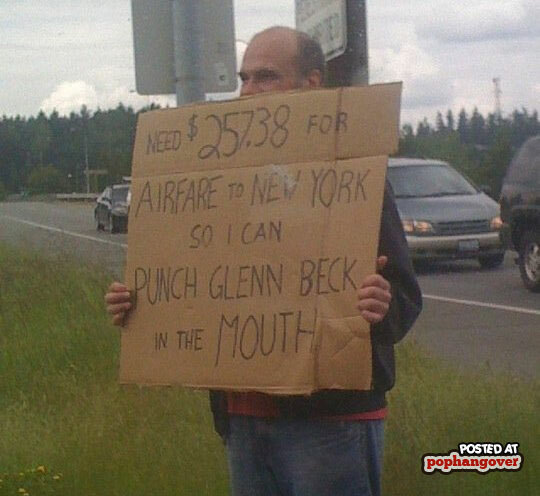 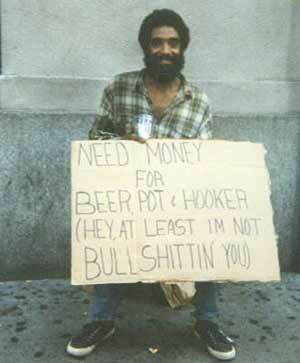 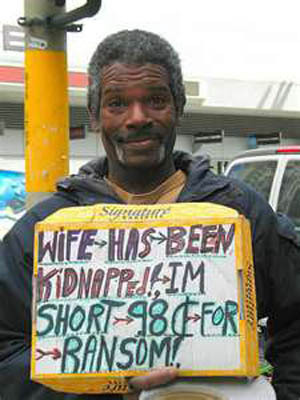 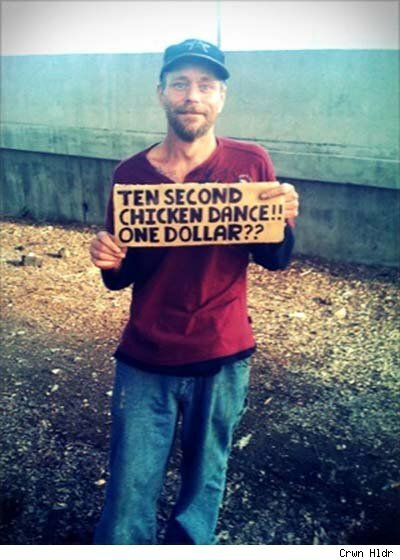 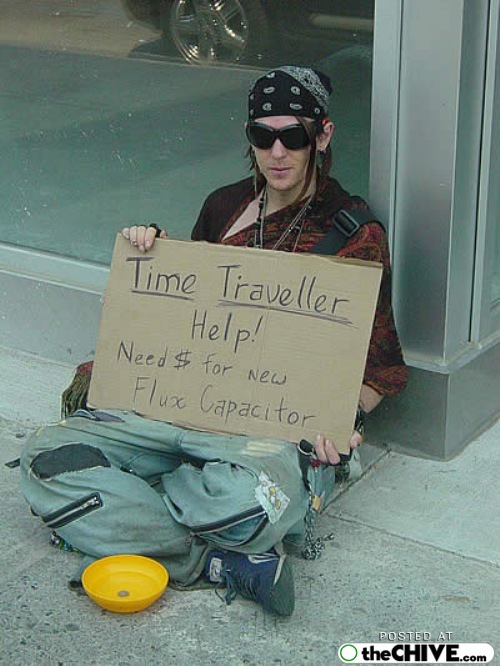 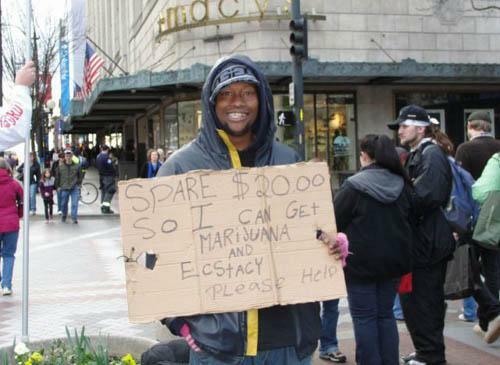 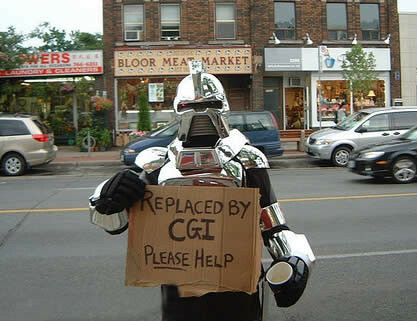 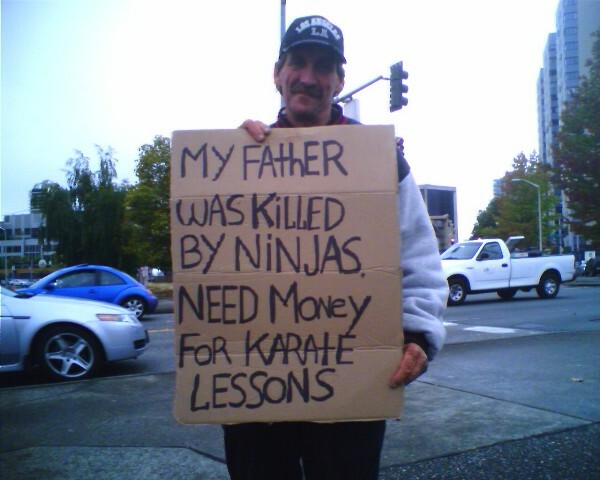 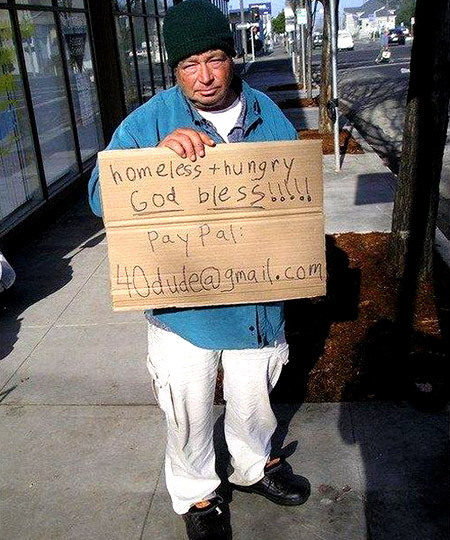 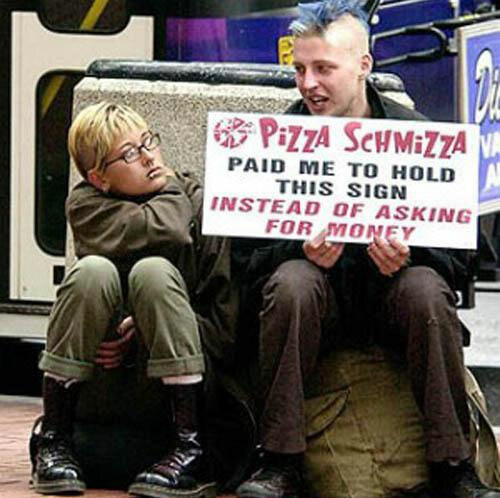 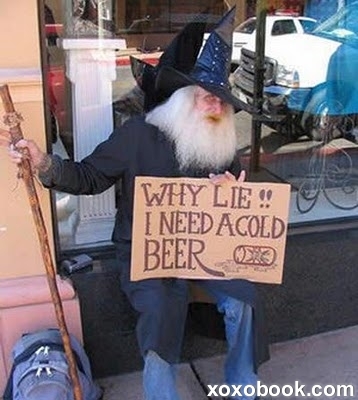 Panhandling isn’t what it used to be. 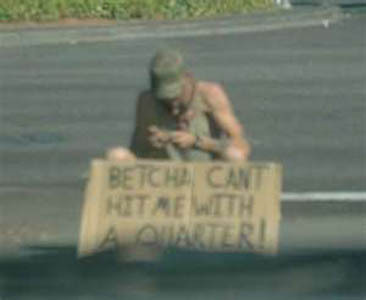 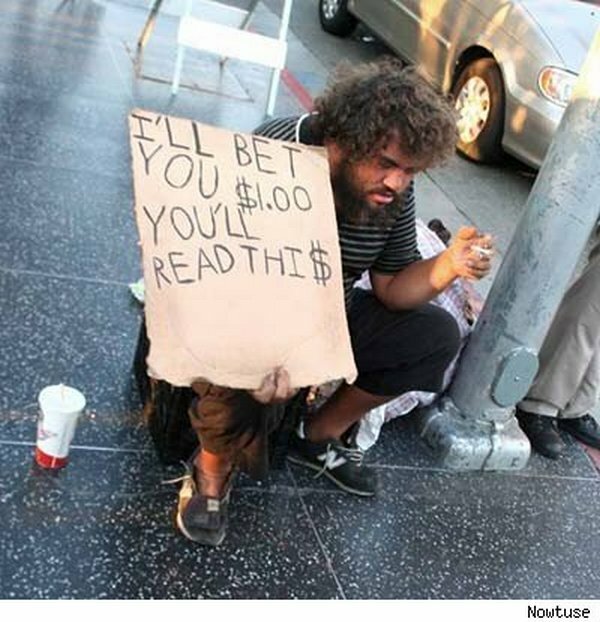 With so much competition out there, you have to be creative to get people’s spare change. 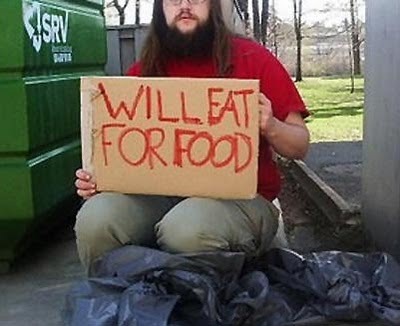 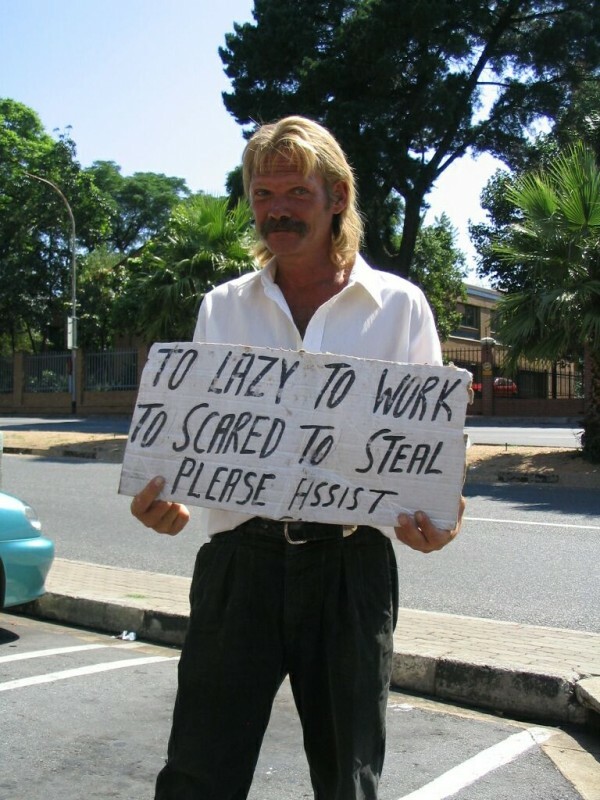 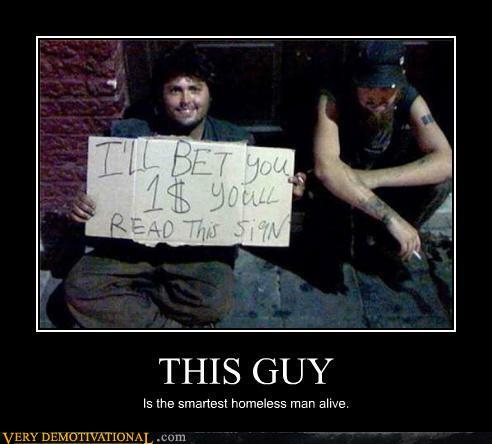 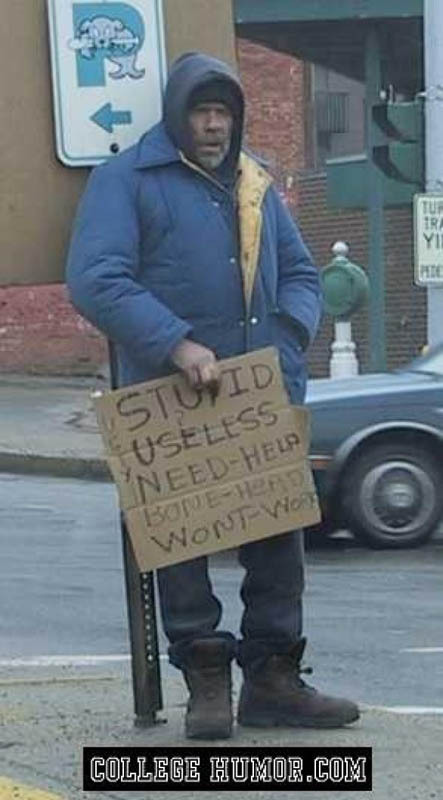 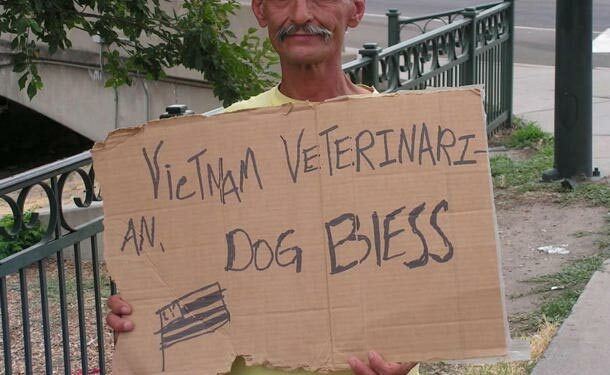 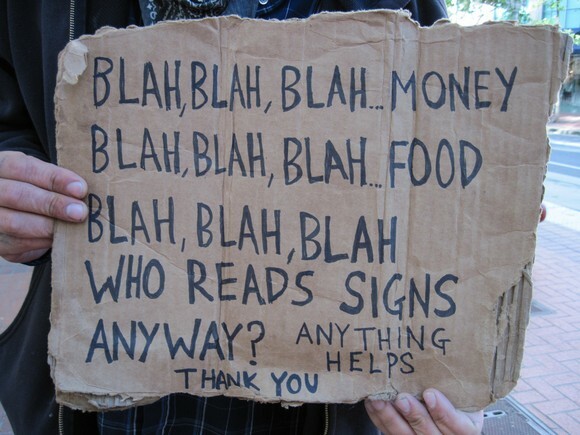 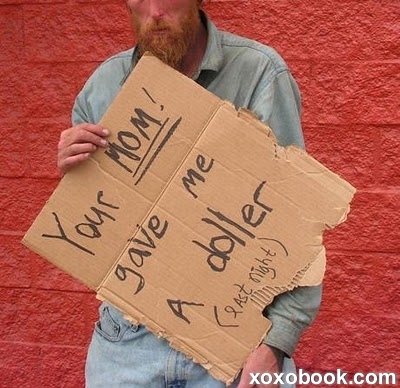 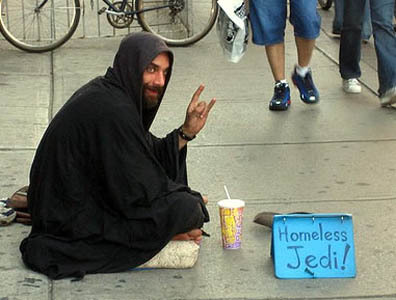 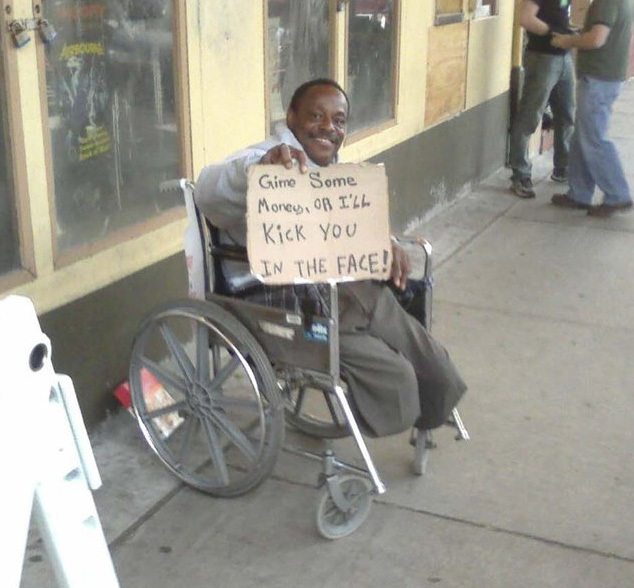 This gallery is filled with some of the best signs from the most creative homeless people out there. 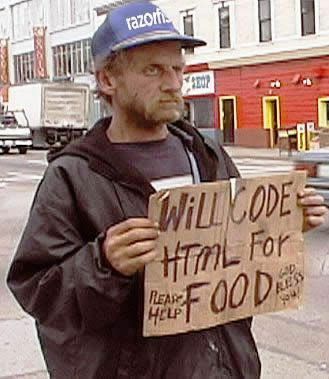 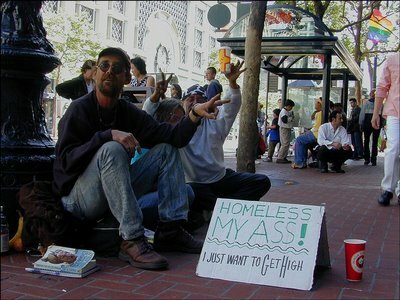 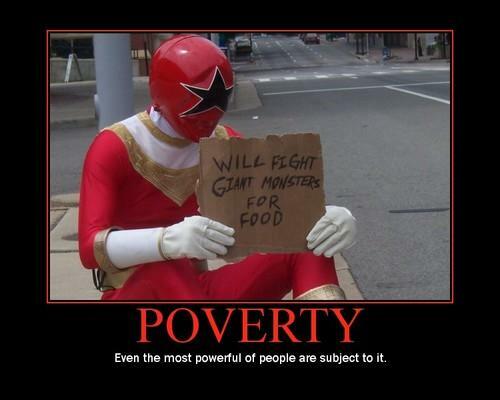 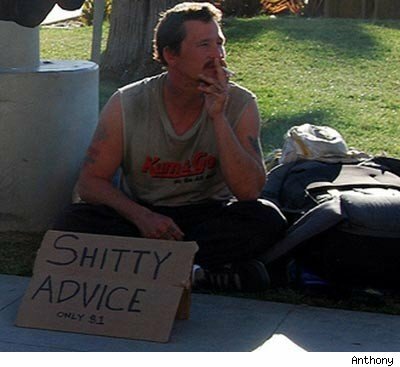 If the homeless thing doesn’t work out for them, maybe they should consider blogging.